Perfect’s brochure printing services are available in both traditional offset printing and digital printing. 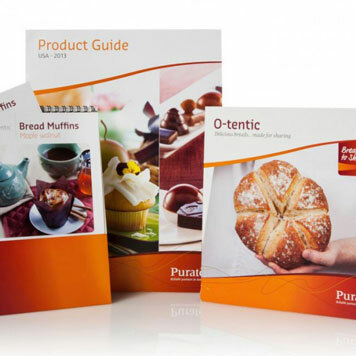 Brochures are one of the most versatile ways to communicate in print. 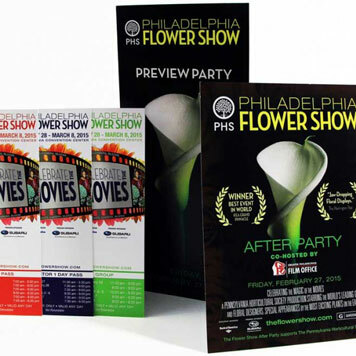 At Perfect, we provide brochure printing for a variety of promotional and informational purposes. In the markets we serve, such as finance, retail, nonprofit and higher education, we provide brochure printing services for our customers’ print communication plans. 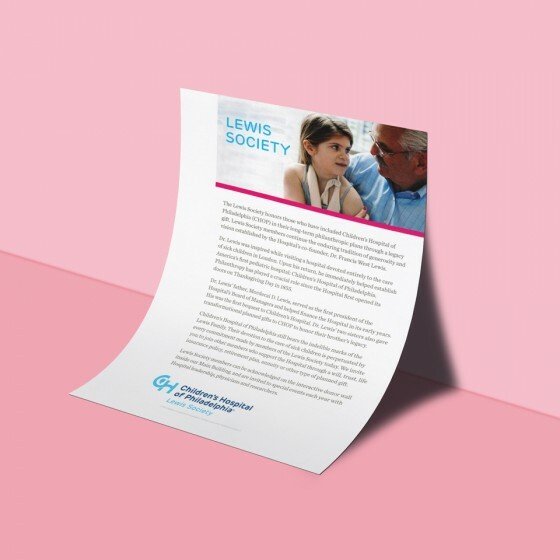 Although a brochure is just a single sheet of paper, the wide variety of folds available can turn a brochure into a unique communication piece. We can use our digital brochure printing capabilities to personalize your brochures, or we can use our traditional offset presses to print large quantities to keep unit costs down. 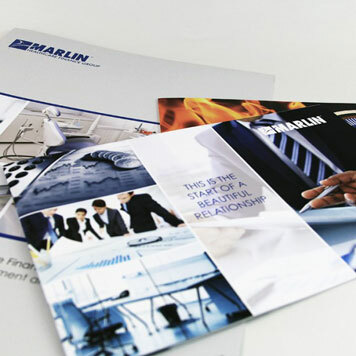 Brochures offer a flexibility that is unmatched by other print communications. Brochure printing can be done in many standard and custom sizes. The most common flat—or open—brochure sizes are 8.5 x 11, 9 x 12 and 11 x 19. Common folded sizes cover a wide range: 3.5 x 8.5, 3.625 x 8.5, 4 x 9, 5.5 x 8.5 and 8.5 x 11. What gives brochures their flexibility is the nearly limitless number of interesting folds available. The two folds people most commonly see are bifold and trifold. While these folds tend to be the go-to options, there are many other more complex folds, such as the barrel fold, gatefold, accordion fold and right-angle fold. There also are folds that take advantage of asymmetrical panel sizes to create unique opening experiences. Feel free to contact Perfect to learn which folds are available as part of the professional brochure printing we perform. 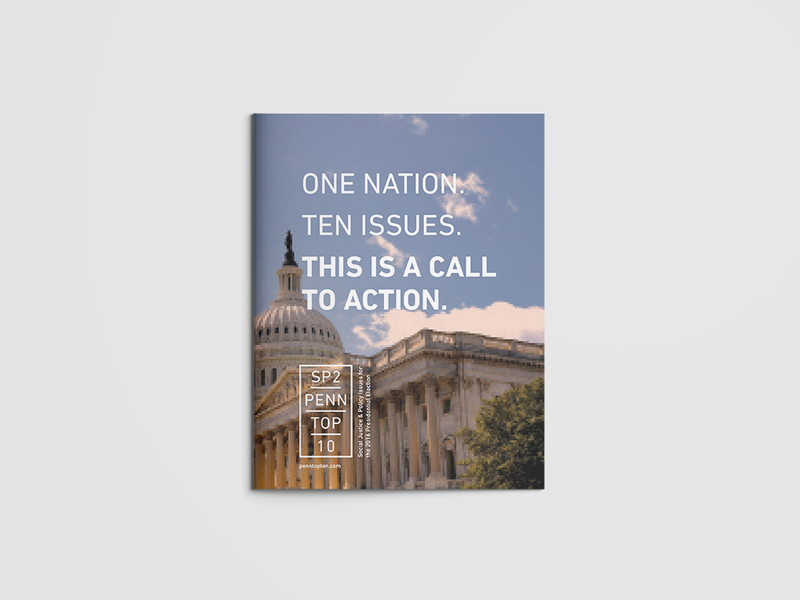 When designing your brochure, be aware that certain folds—such as a trifold—may require one panel to be slightly smaller than the others to allow for proper folding. If you are unsure about how to set up your brochure design, ask us for help or download one of our brochure print templates. 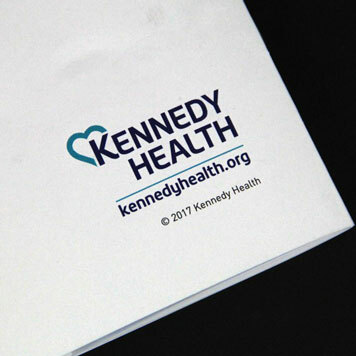 When submitting your brochure for print, indicate the fold lines on your file in a color that will stand out so we can be aware of the intended fold. When choosing a stock for your brochure, be aware that text weight stocks are prone to cracking on the fold because they cannot hold a score as well as cover stocks. Brochures are usually scored prior to folding. 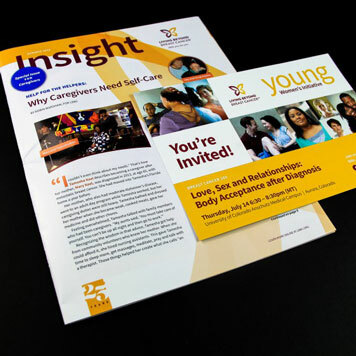 Print materials including postcards, brochures, annual report and magnet. 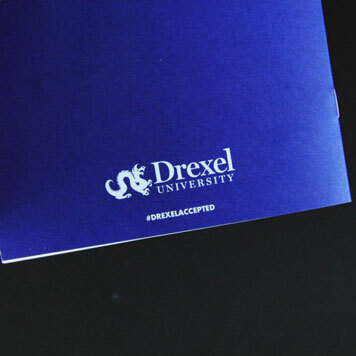 Four-color brochure for admitted students day at Drexel. 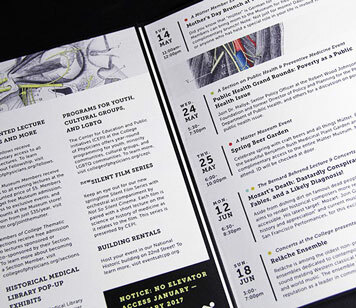 A four-color event brochure highlighting museum activities. 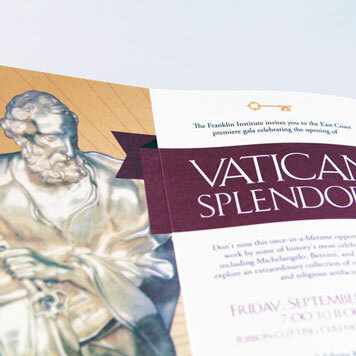 Foil-stamped trifold invitation for special premiere gala celebration. 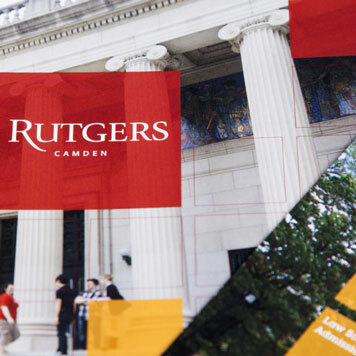 High-end custom designed brochure targeting international students.